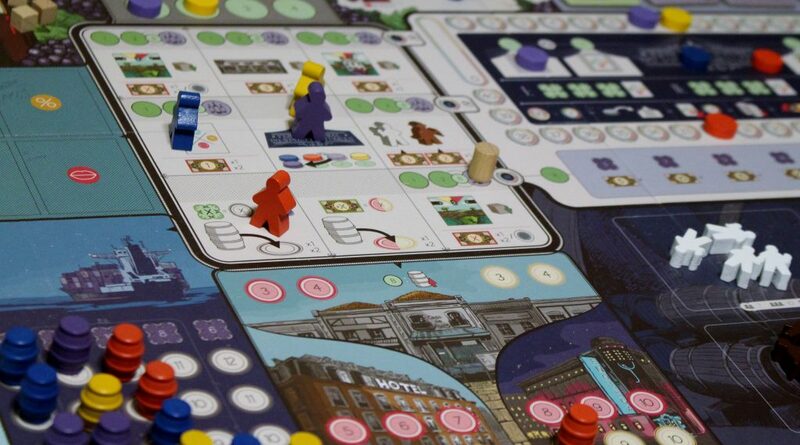 Have you ever wanted to play a game about winemaking? For most people, the answer is likely “no”. However, this is definitely a brilliant and refreshing theme for a board game. 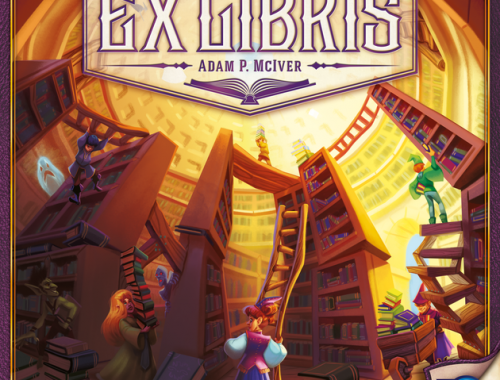 Let’s face it, most themes in board games become reused many themes (fantasy, sci-fi, etc.). 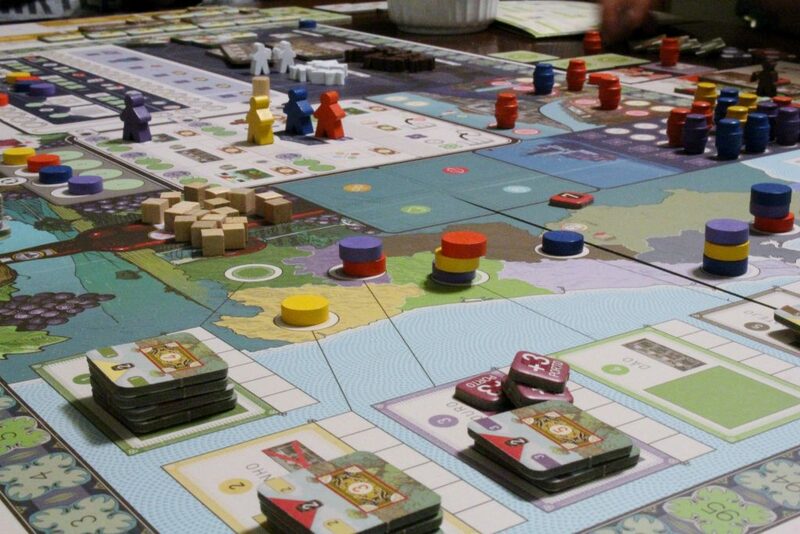 Vinhos is about as Euro of a board game as you can get, which is a term for games that generally focus on skill, balance, resource management, economic mechanisms, and have a lack of player elimination. 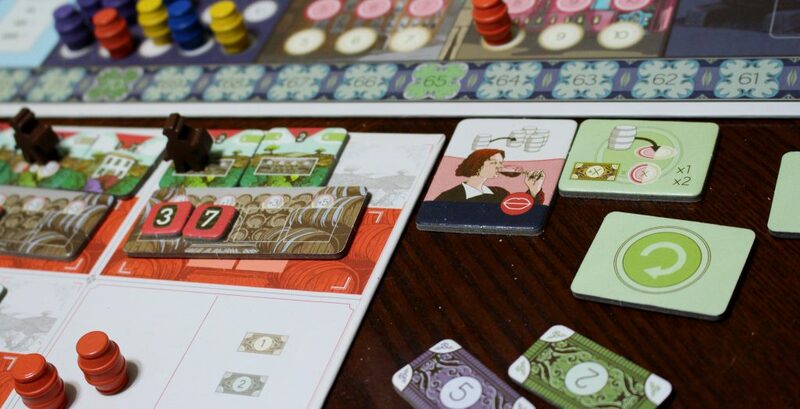 In Vinhos, each player builds vineyards and wineries on their estates to produce wine. They hire farmers and Enologist (wine scientists), and build cellars to increase the value of their wines. Wines from each region develop renown, and players can spend said renown cubes to add to the value of wine when selling or exporting it, or even taking it to the fair. Speaking of the wine fair, at the end of years three, five and seven, players will automatically have a chance to send a wine to the wine fair. However, players can spend an action to send a wine to the wine fair early, thus ensuring first choice of booth (which provides a benefit). Several things happen, but sufficed to say that going to the fair is fairly vital to the game, and is where players can earn a lot of victory points. Players recruit wine experts, but will have the opportunity to discard them during the wine fairs for extra victory points. Vinhos is a pretty deep and complex Euro game- on a scale from 1 to 10 I’d give it an 8.5 (Catan being a 5). There is very little luck and a lot of managing resources and planning ahead. Do you produce a lot of lower quality wines earlier on in the game, or focus on producing one or two high quality wines to move up on the wine fair track, which can help you score more victory points later in the game as well. After only one play, it does seem entirely possible that players could do well in the game overall, but not specifically in the fair. To do this, you would have to really focus on exporting as many wines as possible, which score you victory points for having a majority of barrels in each track. 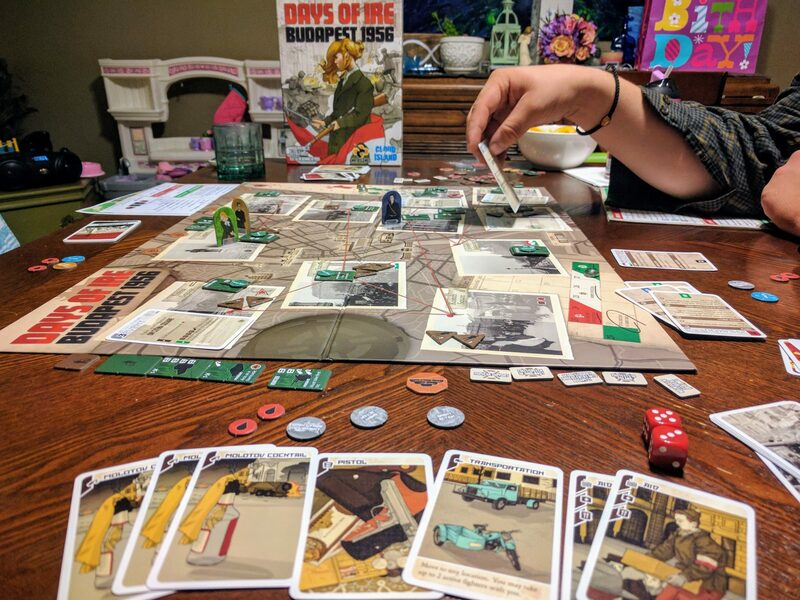 It is an incredibly deep game- one that I could play at least four or five times a year and not grow tired of, even though most games are probably going to be a bit over two hours. 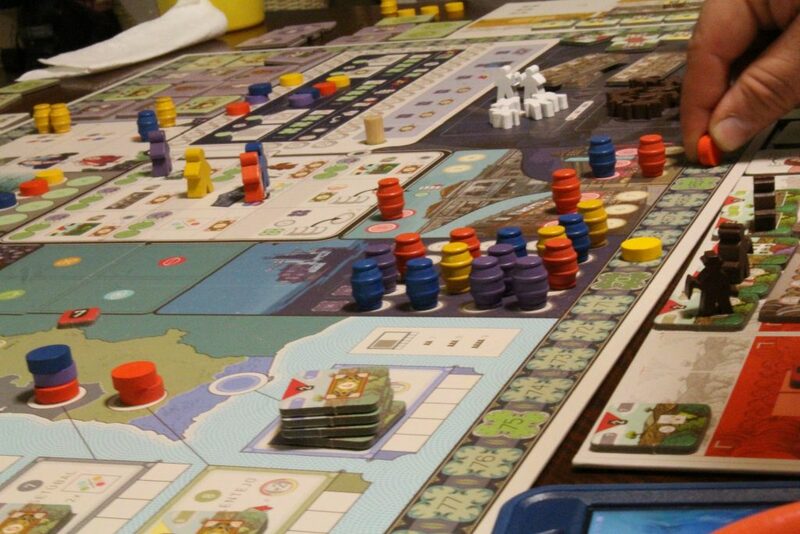 Overall, I had a lot of fun playing Vinhos. It is the type of game that I really enjoy, but it’s often difficult to find someone that wants to play with me. 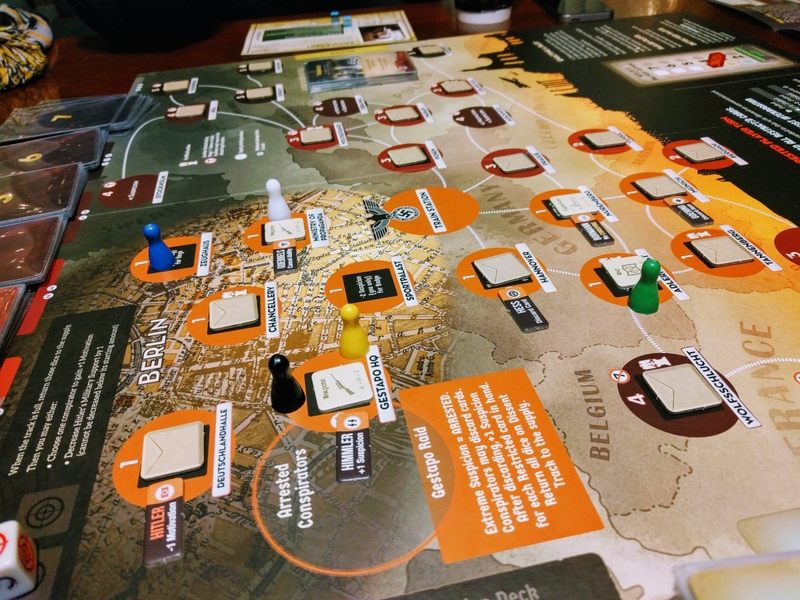 For me it has one of the downfalls that almost every Euro-style game has: the bonus scoring tiles, among other ways to score victory points, have very little thematic connection or tie-in. Most of the game feels very thematic- you’re choosing from the various regions (all which have their own special bonus) to build vineyards in, recruiting workers, and producing wine. But when you get to the scoring a lot gets abstracted you lose a bit of that thematic immersion often referred to in game design as “The Magic Circle. Again, though, this is a problem with the Euro genre as a whole. 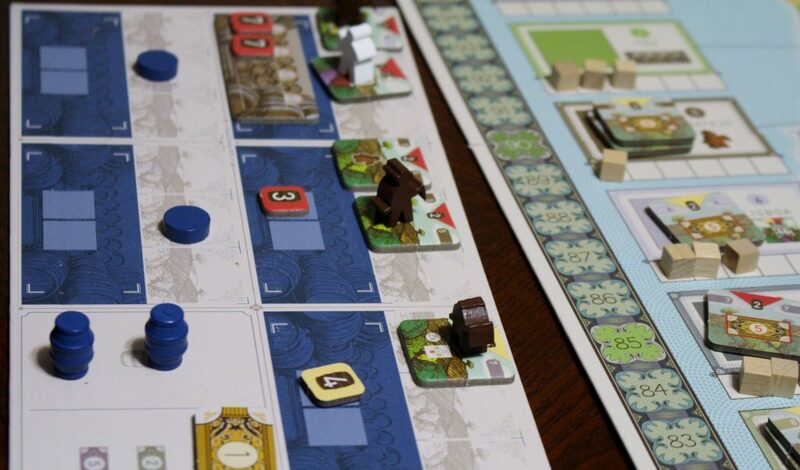 It exists in some of my favorite Euro games, such as Murano, and Agricola. 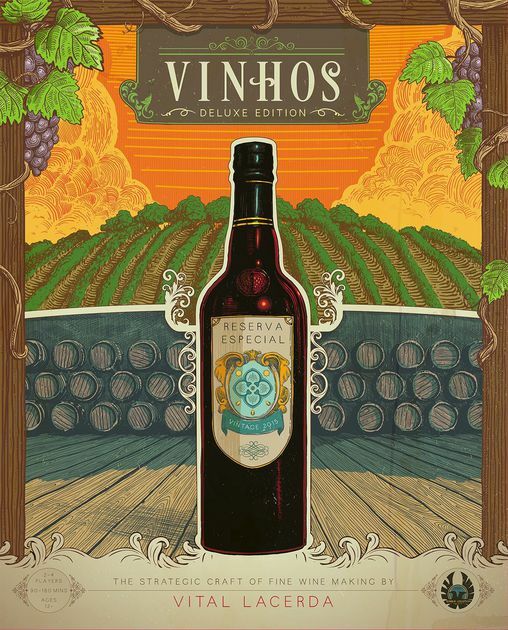 Vinhos is a fantastic game, however, and the Deluxe Edition does not disappoint. It looks absolutely beautiful on the table, and above all things the box insert is super clever, with pockets that perfectly fit a lot of the tiles and a lid that holds everything in place. This is a game I’d love to play again, and in general I’d give it an 7 out of 10. If you like heavy Eurogames, however, I give it a +1 and furthermore, if the theme of making wines appeals to you, I’d give it another +1. 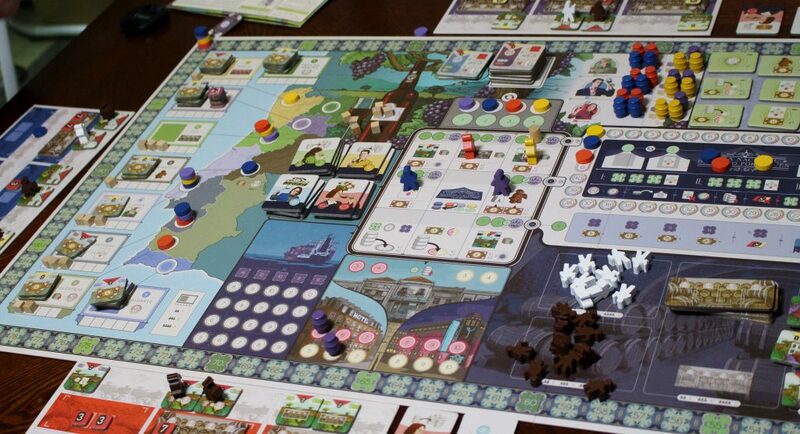 To summarize, for someone who wants to play a heavy Euro and loves the wine making theme, it’s easily a 9 out of 10. Give it a try! P.S. Just because this is such a beautiful game, here are some more pictures. Enjoy!